ArcGIS is a world class, integrated collection of GIS software products that provides a standards-based platform for data capture and management, spatial analysisand mapping. It changes the way people work, empowering users with GIS capabilities everywhere: via local desktops and browsers, through central servers and in the cloud. 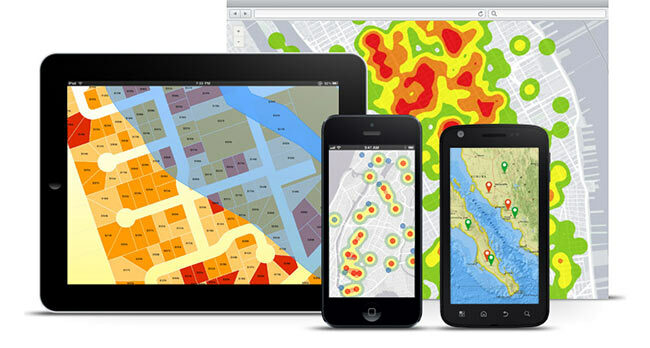 If you are a developer, ArcGIS gives you tools to build your own applications. Organizations of all types are using ArcGIS to improve their workflows and to solve their most challenging issues. It can be used for cadastre and land titles, improving access to water, sanitation and electricity, managing resources in mining, foresty or agriculture, urban, regional and transportation planning, protecting the environment, public health, sustainable development and humanitarian assistance. Learn more about using ArcGIS across a variety of platforms.